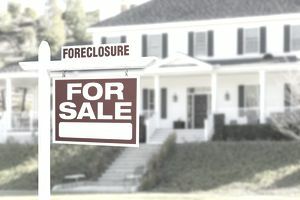 This is a step-by-step through an actual negotiation process where the author, James Kimmons, was representing a buyer dealing with a bank for a foreclosure property. This bank purchased the loan in a package separate from the original lender, or at least the one holding it when the default happened. At times during the negotiations, which took a little over a week and a half, Kimmons was frustrated with the bank's seeming intentional disregard of the problems of the home they were trying to unload. In better times, the value of the home was between $225k and $300k. The original list price by the bank was $179k. The offer was made six months or so later when the home was listed at $119,900. In an area with very strict environmental laws, the home needed a new septic system on a lot that was too small for any leach field. The process to receive the variance for holding tanks takes 30-45 days, with an outcome that isn't guaranteed. The bank was very clear in all their documents that they know nothing and make no representations as to the condition, and will pay for no repairs. Kimmons received some initial ballpark estimates for the septic work before the first offer. Contingent upon the seller paying $10,000 for septic installation before closing, as the new lender required that. Those were the highlights of the offer, and it was pretty bold, as the home is a steal at the full asking price, even if the septic must be replaced after closing at the buyer's expense. However, this person did not have the cash to do that, so it needed to be done by the seller or at least financed in the price. Bank would only use counter offer forms, reiterating every negotiation item in each one. It seemed computer generated. Bank wanted a closing date too soon to guarantee the variance could be approved and the septic installed before closing, and they wanted $100/day from the buyer if we went past that date "at no fault of the seller." Their first counter iterated that they wouldn't pay for a survey, but would credit the buyer $1500 toward their closing costs. Their first counter-offered to pay nothing toward the septic installation. Their first counter was at the full list price of $119,900. Kimmons' negotiations centered around the sale price, septic cost, survey/closing costs, and the $100/day damages clause with the short period until closing. Every counter from Kimmons' asked for more and to remove any payment of damages if the buyer couldn't get the items done in time due to delays at the county. Selling price to be $120,500, though Kimmons had gotten them all the way down to $112,000 during the process. You'll see why. Seller will pay an up-front fee of $1500 to get the septic variance process done. Seller will pay $10,000 for a new septic system. Seller will pay $500 toward buyer closing costs. And, the closing date was extended. By sending the final counter to the bank with the sale price increased from $112,000 with almost no other concessions, Kimmons got the bank to take the deal and shell out $12,000. That's a net selling price of $108,500, but the buyer won't need any more cash than the 20% for down payment and other closing costs. It's a great deal for the client, who'll close on a home ready to live in with about $50k+ in immediate equity. The point is to never quit with a bank. As long as they keep coming back with counter-offers, you do the same. At some point, you'll make a deal, and it might be better than you ever expected.